Water Damage walls, requiring plasterboard Repairs or plaster stripped and re plastered. Joiners in Edinburgh plastering division carry out all aspects of plastering through escape of water, burst pipes, leaking pipes or flood damage due to localised flooding. Being Local Plasterers In Edinburgh, We carry out all plastering services throughout Edinburgh and Central Scotland. Being approved Insurance Property repair contractors, Plasterers In Edinburgh carry out all Water and Fire Damage Insurance Repairs. 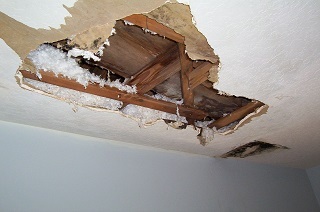 Water damage can cause serious damage to your property if left unattended. 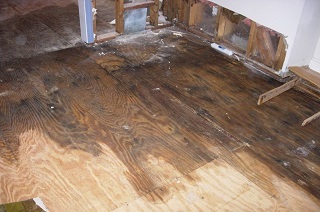 If you suffer a water Leak from Leaking pipes or water ingress that gets under your hardwood flooring or Laminate Flooring causing water damage, fortunately your insurance company should be able to deal with your Water Damage Insurance Claim. 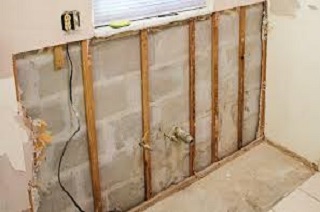 Joiners In Edinburgh deal with numerous water damage repairs relating to faulty bath seals and leaking pipes we also deal with all types of Kitchen Floor Water Damage insurance claims due to leaking washing machines and faulty plumbing. Joiners In Edinburgh are a complete all trades service that deal with all Water Damage Repair Insurance Claims whether it be a wet plasterboard ceiling, Water damaged Floorboards that require water damage repair Our trusted and experienced Edinburgh Joiners have carried out thousands of Insurance property repairs over a period of 30 years and have the experience and the expertise to deal with your Insurance Claim. To discuss your Water Damage Restoration needs, contact us using the button below.